It's your world, we just write about it. Let’s take it for granted that if you are reading my blog, you know my thoughts about the United Federation of Planets as dystopian nightmare state. Today I will build on this argument with an example from Deep Space Nine. DS9 gave us the Federation at war, and war can often bring about the worst in even the most benevolent of governments. My example, however, isn’t about the Dominion War, a war so brutal it struck at the very ethos of Federation culture. Today, I’m interested in speaking for the Maquis. Let us turn to Captain Sisko, himself, for some context. On Earth there is no poverty, no crime, no war. You look out the window at Starfleet Headquarters and you see paradise. Well, it’s easy to be a saint in paradise. But the Maquis do not live in paradise. Out there, in the Demilitarized Zone, all problems have not been solved yet. There are no saints, just people; angry, scared, determined people who are going to do whatever it takes to survive, whether it meets with the Federation approval or not. In canon, the aforementioned demilitarized zone was the by-product of a treaty that ended nearly twenty years of border skirmishes between the United Federation of Planets and the Cardassian Union. The apocrypha of this treaty is too long to detail. Sufficed to say, the Federation cut a deal with the Cardassians that saw Federation border worlds ceded to the Cardassian Union. The Federation colonists, however, refused to abandon their homes and soon found themselves forced to live under the brutal regime of the Cardassian military. In response to Cardassian hostility and a Federation policy of non-interference in the DMZ, disaffected colonists and former Starfleet officers formed the Maquis. The Maquis became the self-defence force/armed militia of the DMZ colonies. The clip below represents the final days of the Maquis’ resistance. Starfleet dispatched Captain Sisko to end the Maquis threat after Michael Eddington, formerly of Starfleet security, poisoned the atmosphere of two Cardassian DMZ colonies. Let’s review. Captain Sisko, a decorated Starfleet officer, used weapons of mass destruction against a civilian target to send a message to the Maquis. Nevermind that the Maquis struck first. Nevermind that the Maquis attacked the Federation. A legitimate and right-thinking government does not suspend the rules of war because they are dealing with an enemy engaging in asynchronous warfare. Therefore, I submit, Captain Sisko’s response constitutes a war crime. As evidence of this, I would turn to the Geneva Conventions, specifically the protocol additional to the Geneva Conventions of 12 August 1949, and relating to the Protection of Victims of International Armed Conflicts (Protocol I), 8 June 1977. 1.The civilian population and individual civilians shall enjoy general protection against dangers arising from military operations. 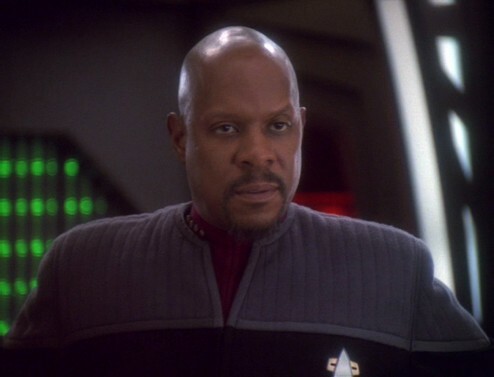 Sisko, by his own admission, attacked a civilian planet to punish the Maquis for their aggression against a Starfleet ship and two Cardassian colonies. 2. The civilian population as such, as well as individual civilians, shall not be the object of attack. Acts or threats of violence the primary purpose of which is to spread terror among the civilian population are prohibited. 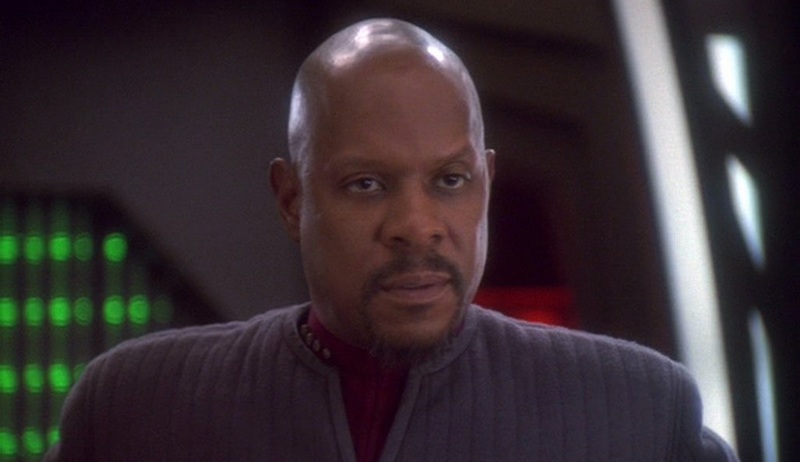 Sisko bombed the civilian population as leverage against the Maquis. He then threatened to attack another civilian target unless Michael Eddington surrendered to Starfleet. 3. Civilians shall enjoy the protection afforded by this Section, unless and for such time as they take a direct part in hostilities. Not all DMZ colonists are members of the Maquis, just as not all people who live in Afghanistan are members of the Taliban. (c) those which employ a method or means of combat the effects of which cannot be limited as required by this Protocol; and consequently, in each such case, are of a nature to strike military objectives and civilians or civilian objects without distinction. I could go on, but I think my point is clear. If the Federation is a benign and socially progressive organization, as we are lead to believe, then surely it is not unrealistic to expect their rules for warfare to be in-line with those established during the 20th century. 1) Starfleet’s rules for protecting civilian lives during a war are less progressive than the Geneva Conventions; in which case I submit that Federation is as monstrous a regime as any modern nation who rejects said conventions e.g. North Korea. 2) The Federation and Starfleet’s rules for protecting civilian lives during a war are comparable to our own; in which case Sisko and his crew chose to disregard the regulations. Therefore, the senior staff, save Kira, are war criminals, and the rest of the bridge crew, right down to Cadet Nog, are complicit in their guilt. @AdamShaftoe Noooooo! He’s my favourite! I love love love it very much when a man uses reference from outside world, historical at that, to fictions! Do you have a wife Adam?